Why Use a Loop Knot? When I first began fly fishing for bonefish some years ago, I used a simple Clinch Knot, also known as the “fisherman’s knot.” However, I eventually realized that this simple choice was limiting me. First, it severely minimizes the fly’s movement in the water. 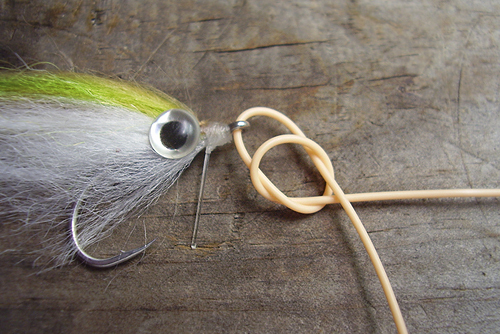 Tied to anything heavier than 8-pound tippet my flies looked like they were wired to a stick. Second, this means that—in order to get my flies to move naturally—I was limiting the tippet-strength I was using. This meant I broke off a lot of fish before I ever landed one! Believe me, when you first start bonefishing you’re not looking for records. You just want to land one. After a while I realized I needed to use a loop knot to get the fly to move naturally in the water. Then I could use heavier tippet and actually land a bonefish. I tried the Uni Knot, but it severely weakened my tippet (breaking below 80% of line strength). What I needed was a strong, easy-to-tie loop knot. 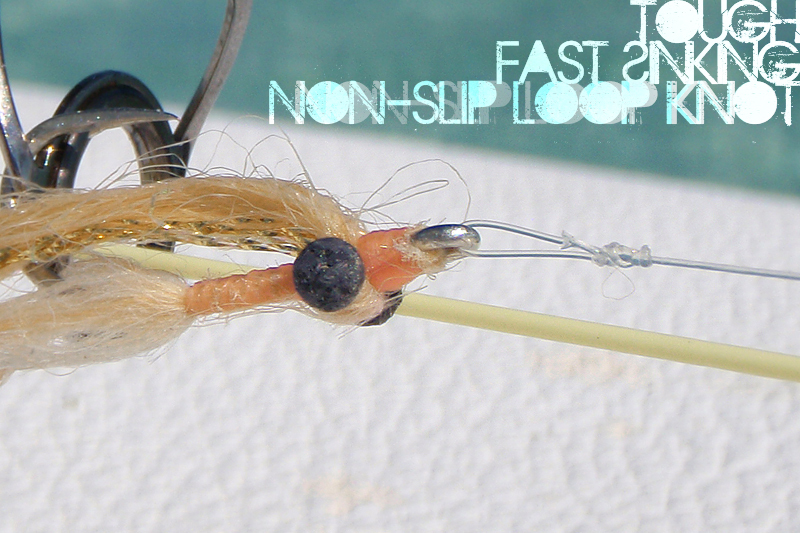 Lefty Kreh’s Non-Slip Loop Knot was the ticket. Properly tied it breaks very close to 100% and it’s fairly easy to tie. Bottom line: a loop knot allows for freedom of movement that most other knots can’t compete with… and as a plus you can use heavier tippets, which is a very good thing when fighting a bonefish. 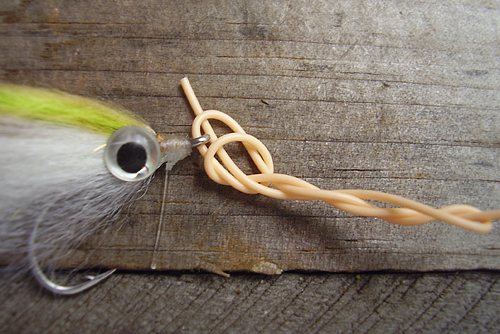 Make a simple over-hand knot and slip the tag-end through the hook eye. 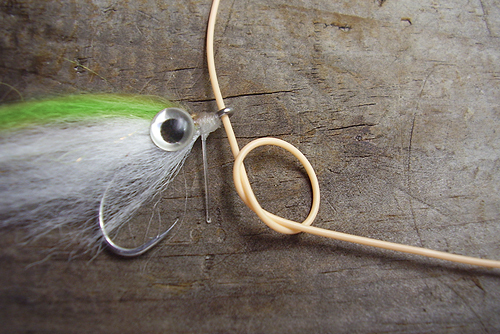 Leave yourself about 2 inches of this tag-end when you first start tying this knot. Take the tag end and make 5 (not 4, not 6) overhand wraps around the standing part of the line. (The number of wraps is dependent on the size of the tippet. 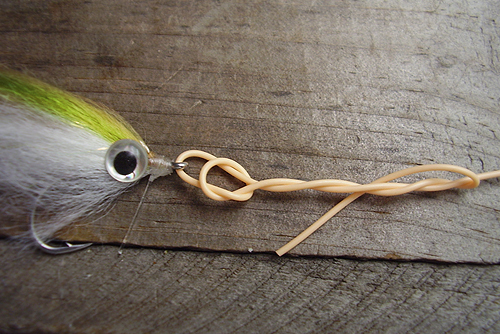 For bonefish tippet of 10-20 pound test, 5 wraps are essential for full strength). Finally, hold the standing part of the line and pull on the tag-end after moistening the knot. After the knot is seated, pull on the standing part and then pull firmly on the tag-end again to finish. Clip the tag but leave about ⅛-inch tag extending. 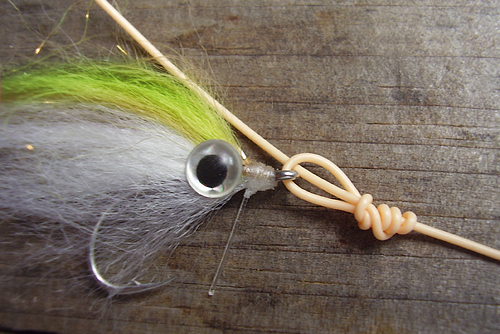 This knot draws up when a running fish pulls on it; a close-trimmed tag end will pull through!